In a parallel universe, this is the Thief reboot we would have gotten – Thief 4: Dagger of Ways. 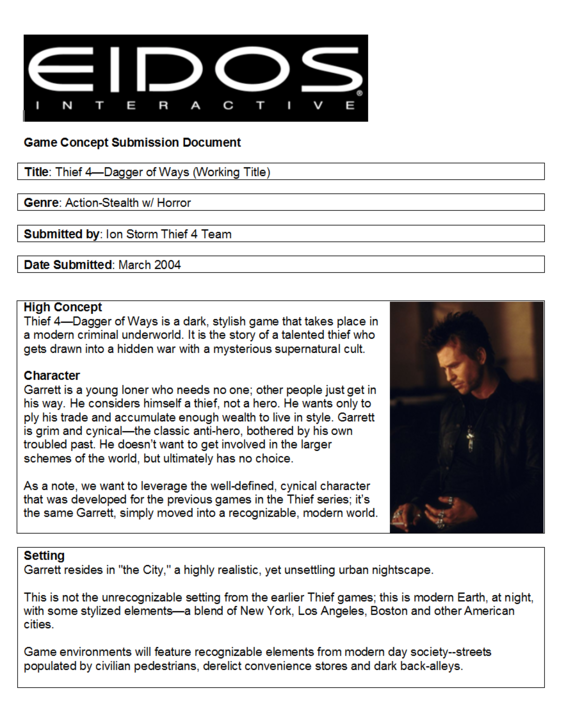 Eurogamer dug up Ion Storm’s internal pitch to Eidos for the modern day reboot. The setting is described as a “modern Earth, at night, with some stylised elements – a blend of New York, Los Angeles, Boston and other American cities. 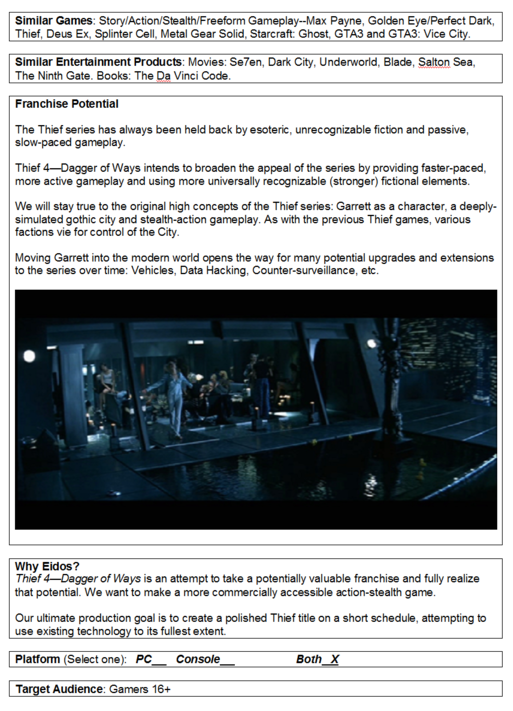 Game environments will feature recognisable elements from modern day society – streets populated by civilian pedestrians, derelict convenience stores and dark back-alleys. 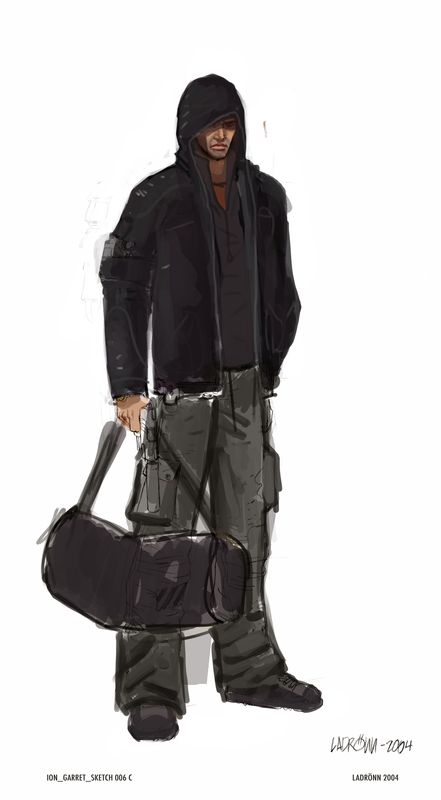 Garret would have been the same cynical character from the previous games, but just living in a contemporary setting, giving him the opportunity for upgrades like “vehicles, data-hacking, counter-surveillance”, and faster-paced gameplay. 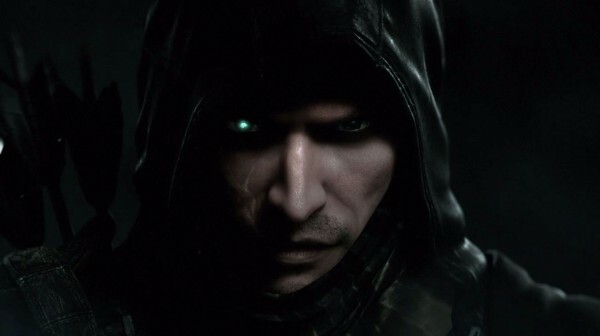 The main mechanic would have been tied to a dagger – a supernatural artifact called The Dagger of Ways – that would let the player switch between the physical realm and a “wraith realm”. The latter is populated with its own dangers, made even more deadly every time Garrett kills someone and presumably sends their angry spirit over to the other side, looking for a bit or vengeance. 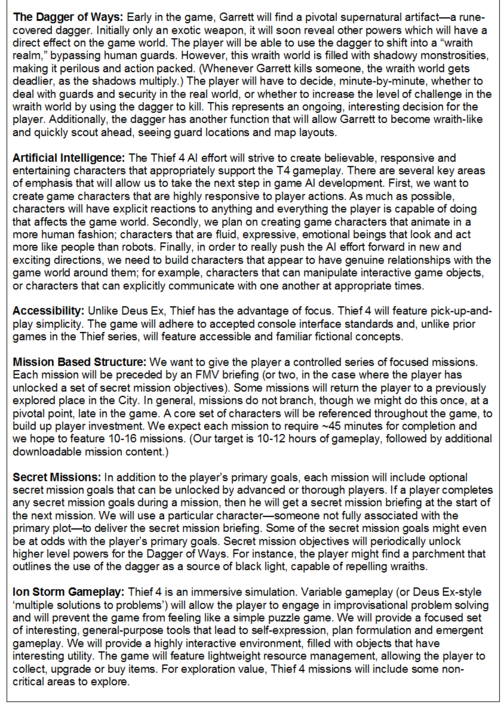 You can read more in the documents below. If this sounds like your cup of tea, and you’re wondering what went wrong, Eurogamer spoke to a source who worked on the game, but requested to be unnamed. Commenting on the pitch document, the source said, “It’s frankly misrepresentative on some topics. 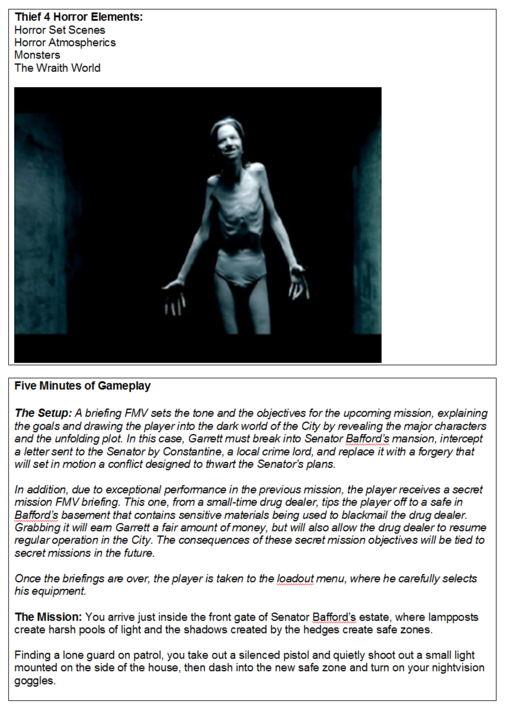 For example, Eidos told us to cut all of the supernatural stuff, but in [the pitch] the supernatural stuff is still there…We wanted to create scenarios where Garrett might come up to what looked like an impossible challenge in the real world, then slip into the wraith world and see a different challenge that was surmountable.